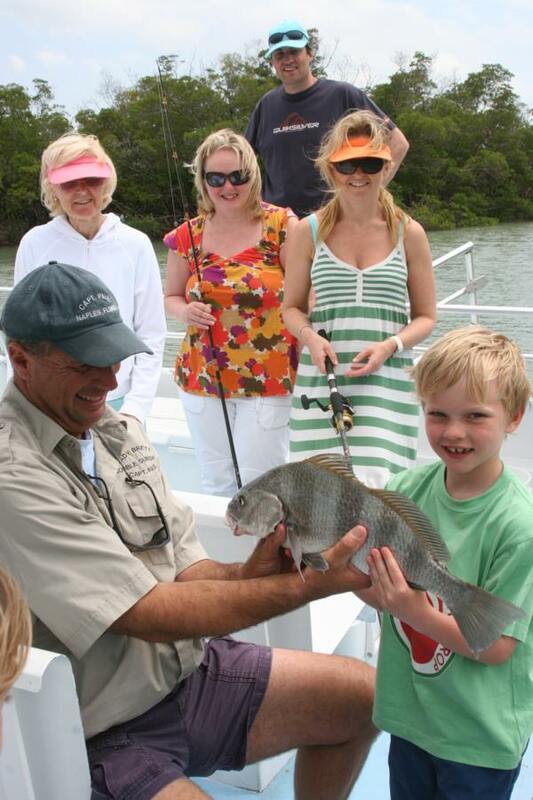 Departures daily for Fishing Deep Sea, Inner Coastal or Back Bay. 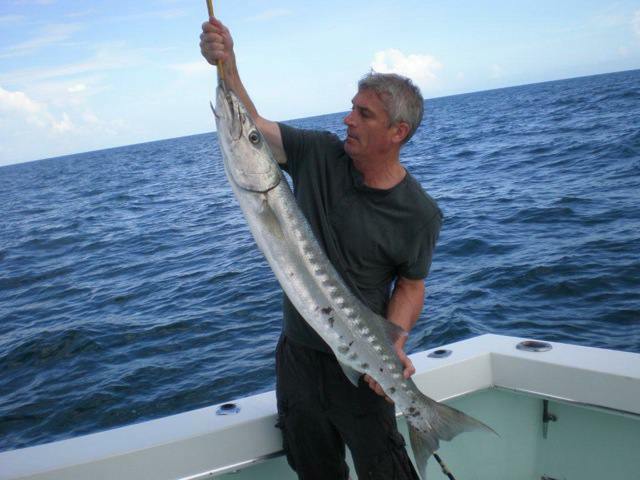 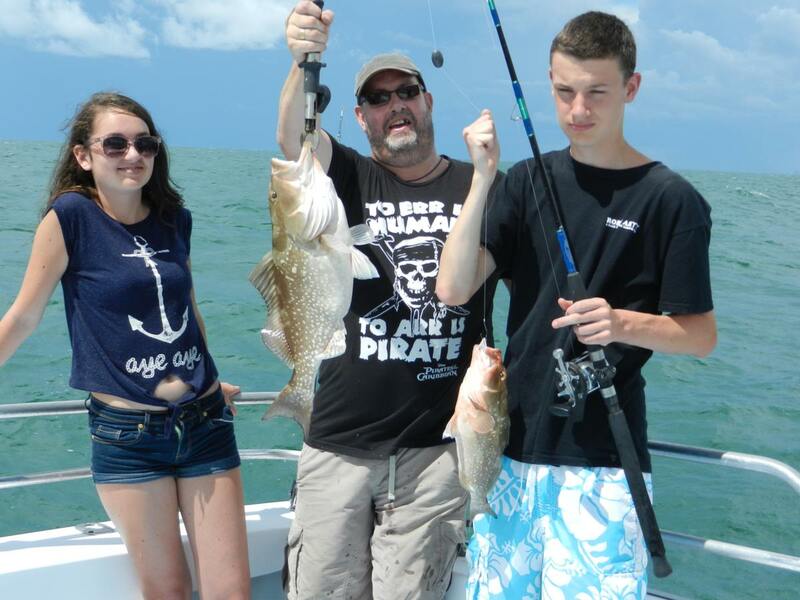 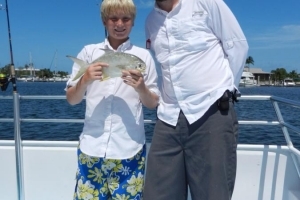 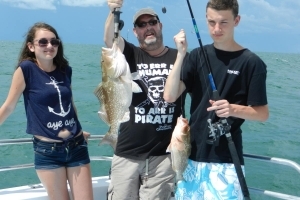 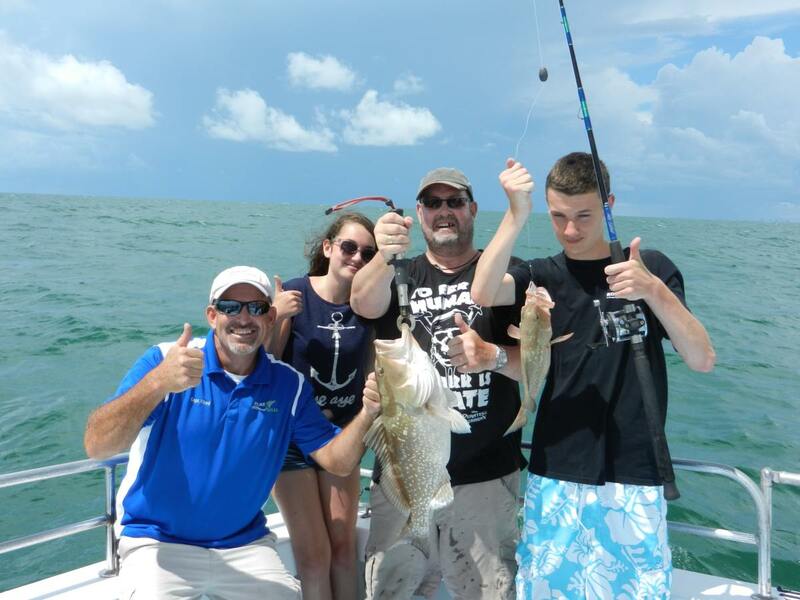 For fun time fishing on our Private Charters or Head Boats call us at 239.263.4949. 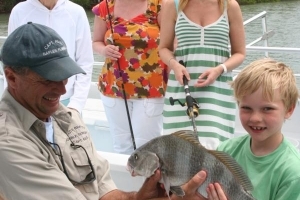 ½ Day, ¾ Day, Full Day or even a sunset or night fish. 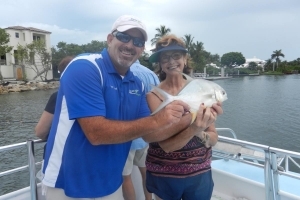 Then turn up and park at TIN CITY, check in at the Pure Florida Naples cruise office for your boarding pass and board your vessel. 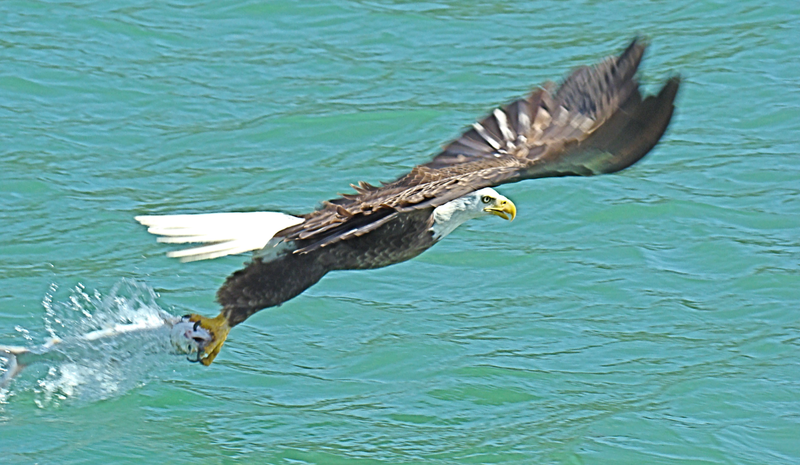 Don’t forget a small cooler with something to drink, a light snack, plus sunscreen and a hat and camera of course. Your license, rod, reel, hooks and bait are all supplied – all you need is the small cooler with your refreshments or if you forget that, buy drinks and snacks from the office. 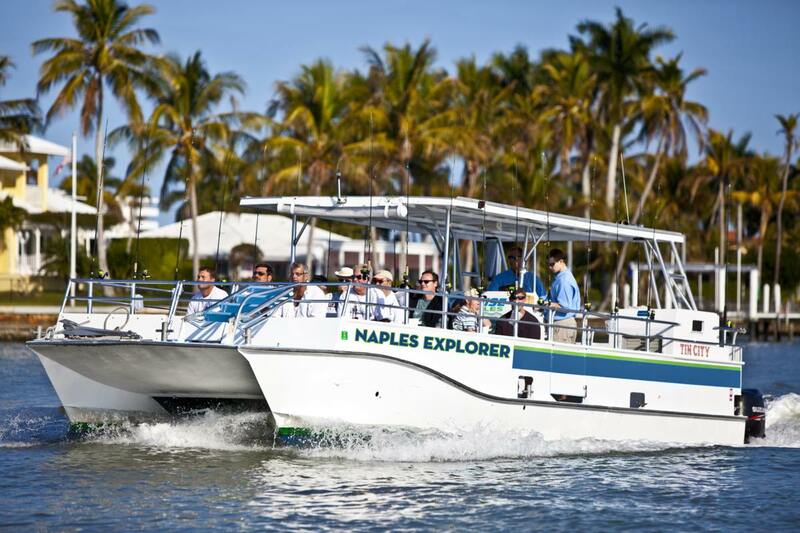 Our boats depart daily. 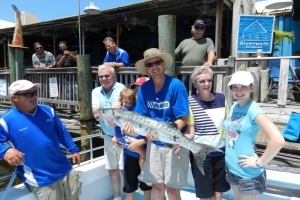 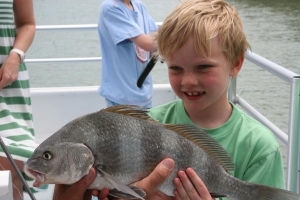 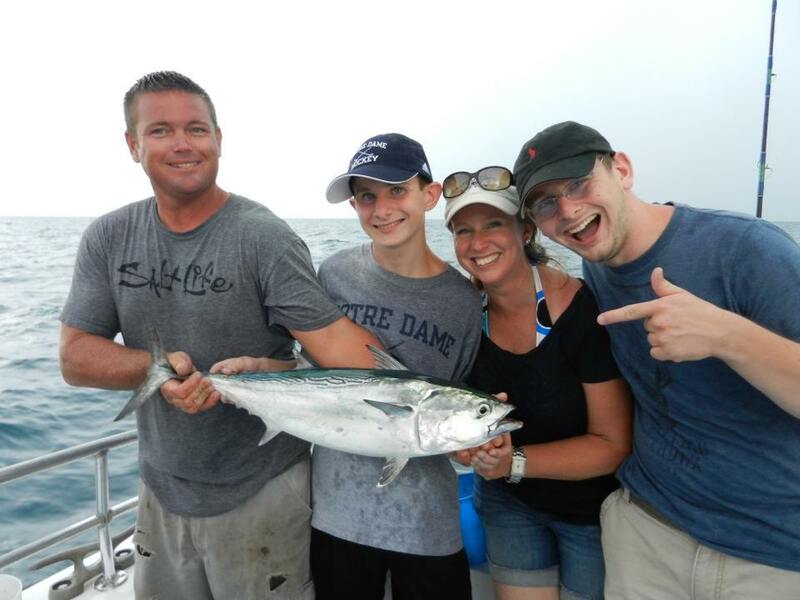 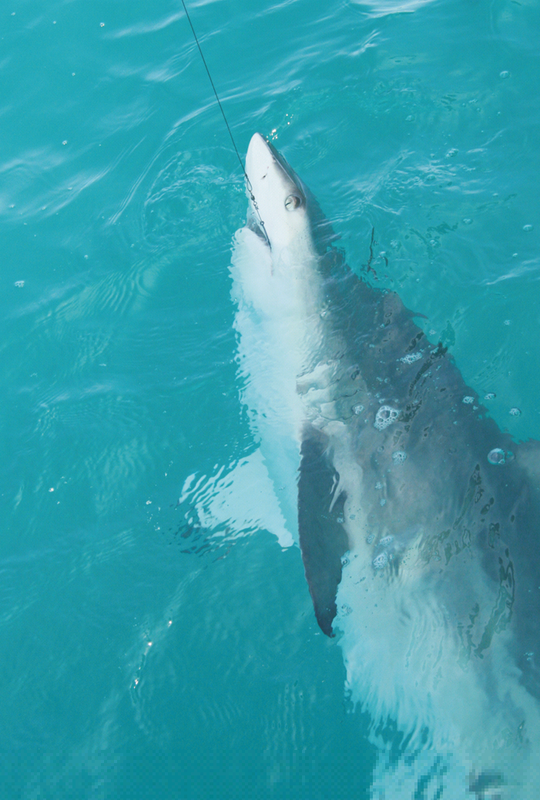 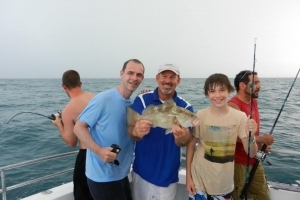 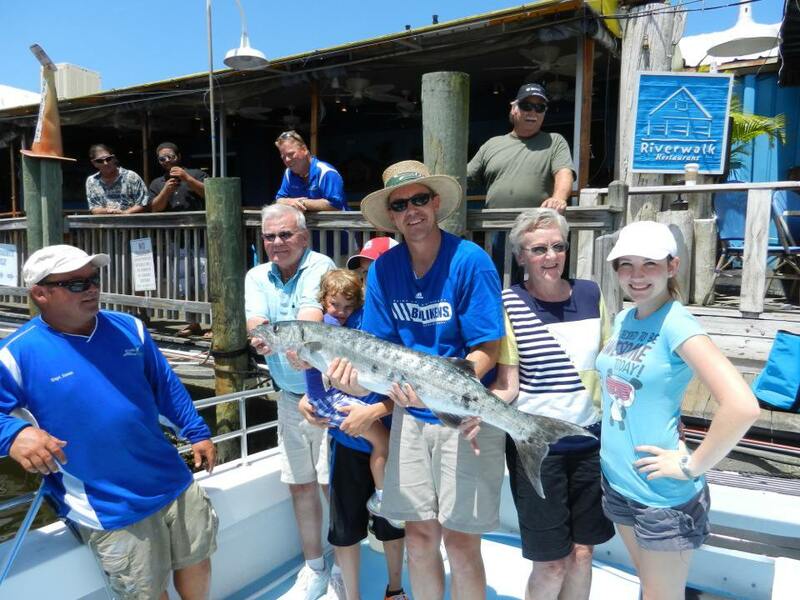 Would you like to go deep sea fishing and share the experience with others? 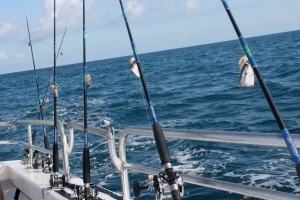 Then book your place on our M/V LADY BRETT, a 45 foot shared/head boat. Holds up to 20 anglers as eager as you are to make the catch! 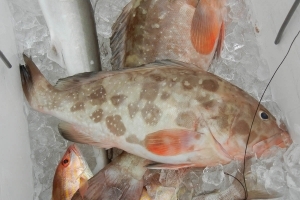 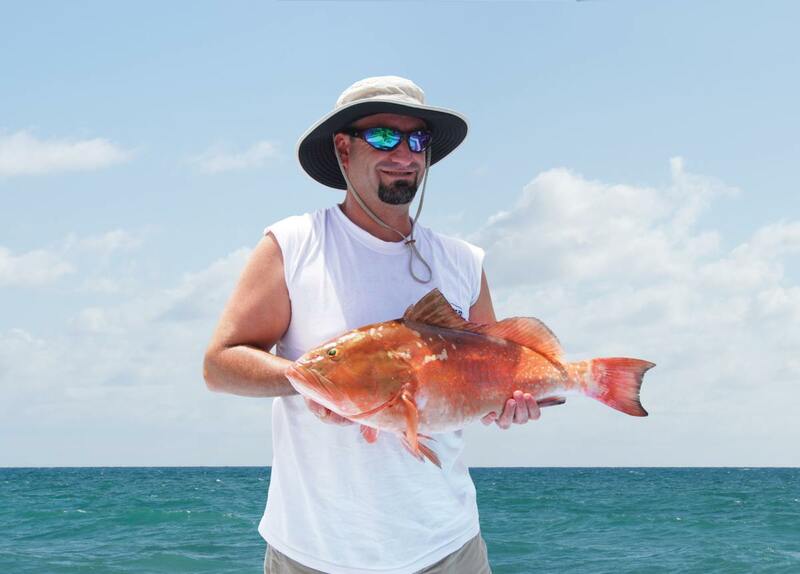 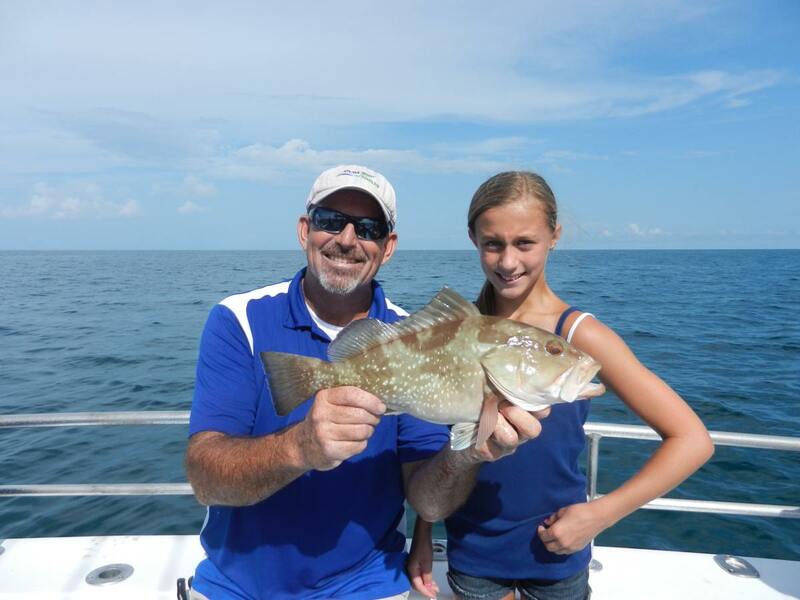 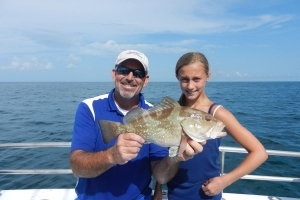 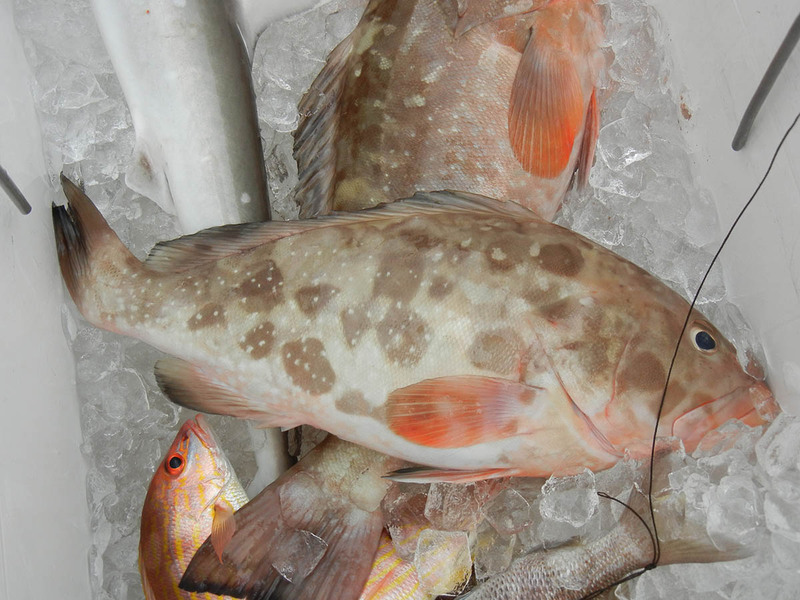 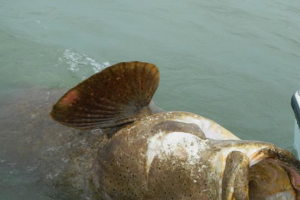 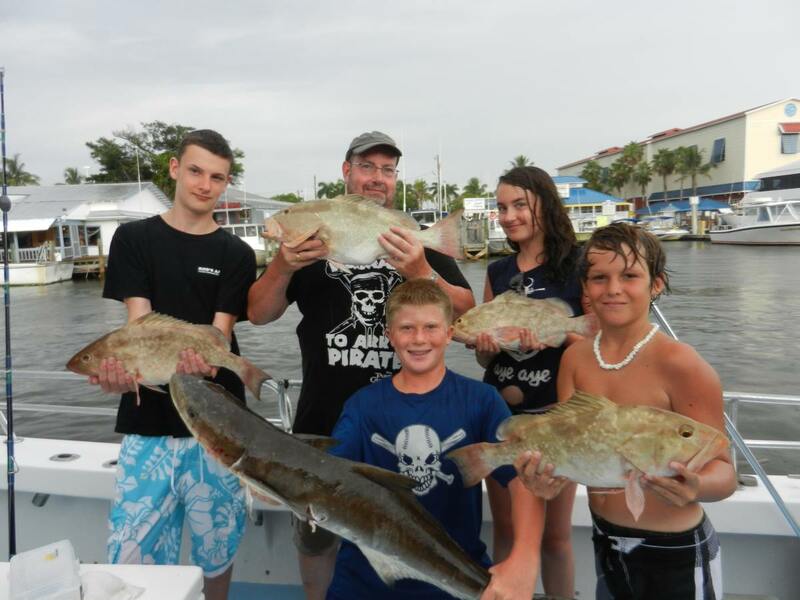 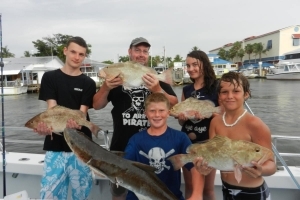 Travel up to 12 miles off shore fishing depending on the season and weather for grouper, snapper, kings, shark and more. 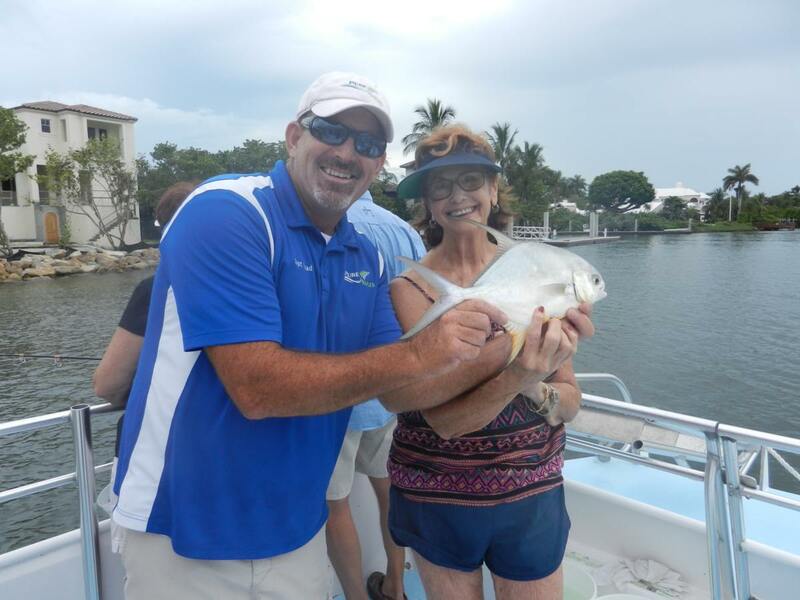 M/V LADY BRETT heads out with a two man crew of Captain and Mate ready to help you catch the “Big One!” All licenses and equipment needed for fishing are included. 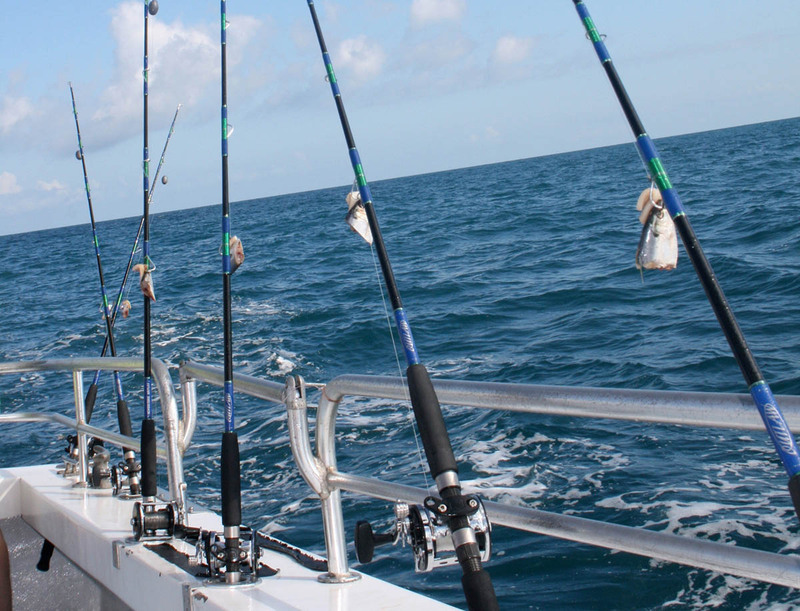 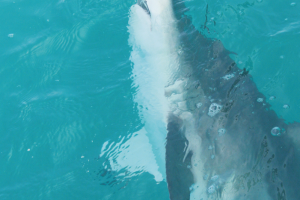 Facilities on board for your comfort and top of the line fishing equipment and tackle with license supplied. 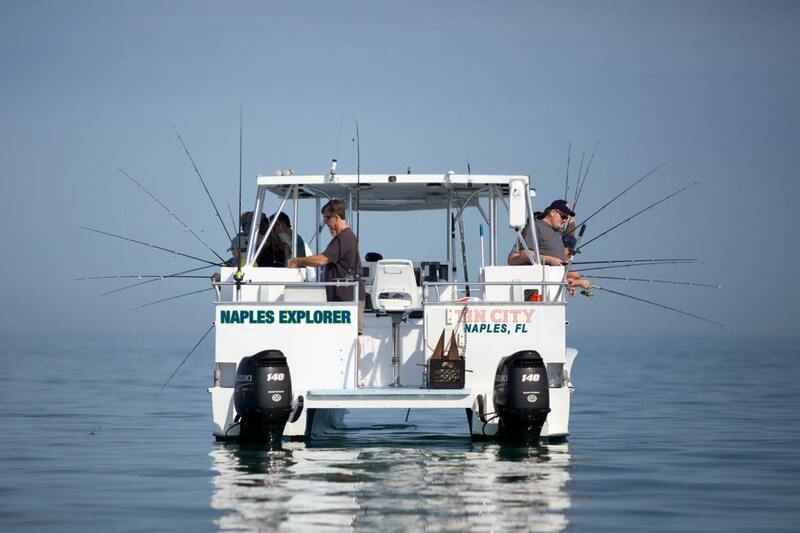 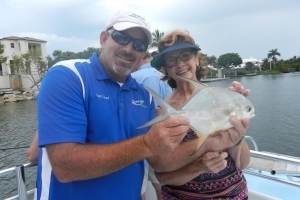 The M/V NAPLES EXPLORER is our shared/head boat that fishes the calm waters of the Naples Bay. 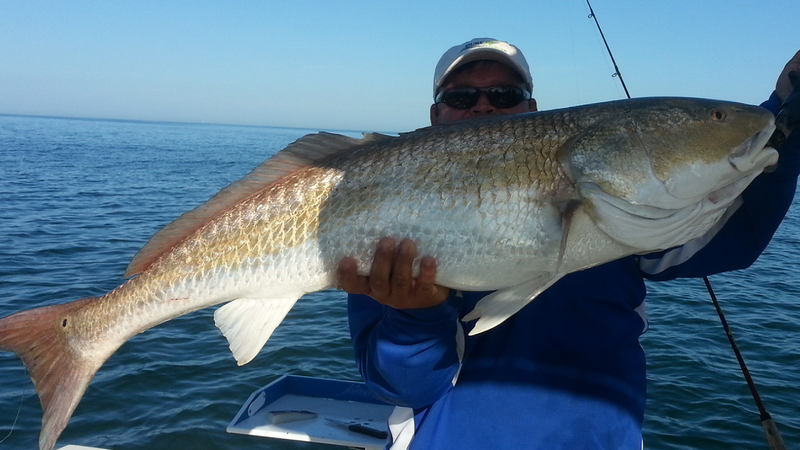 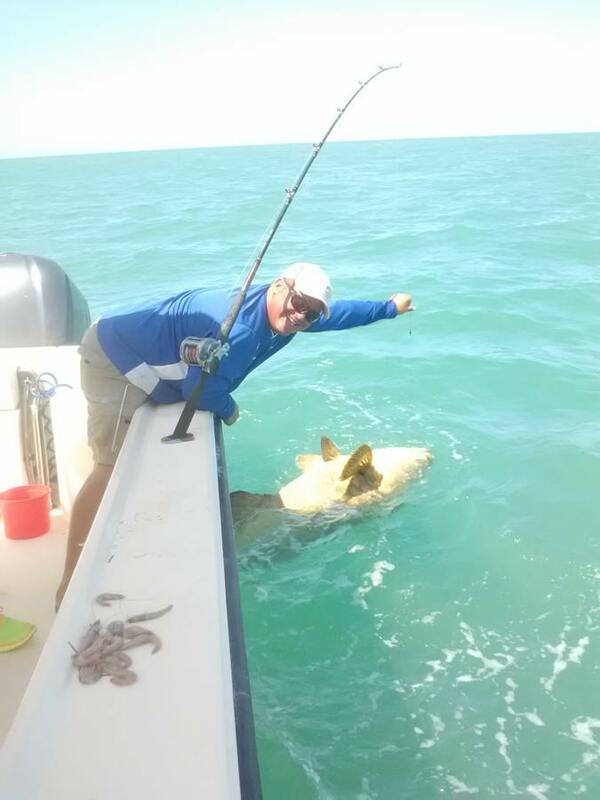 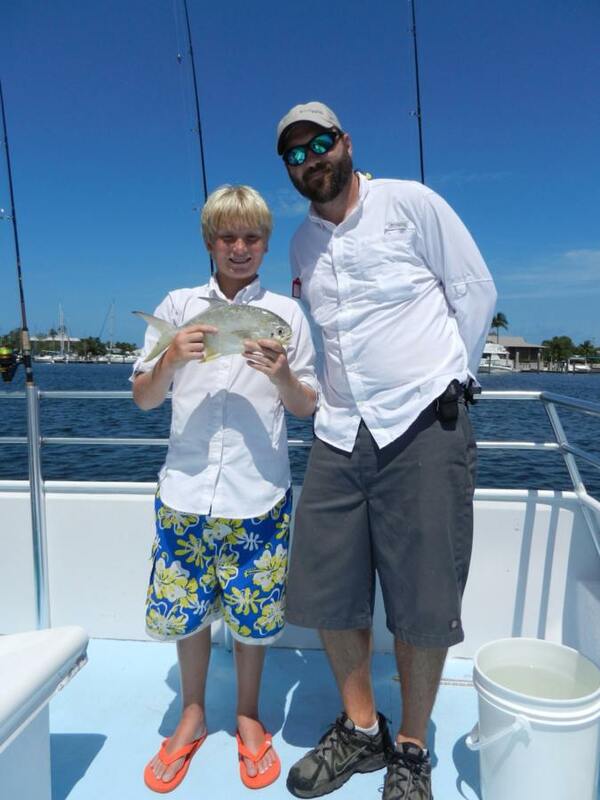 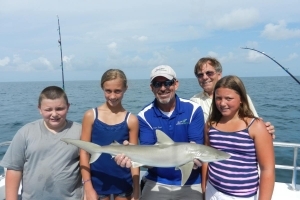 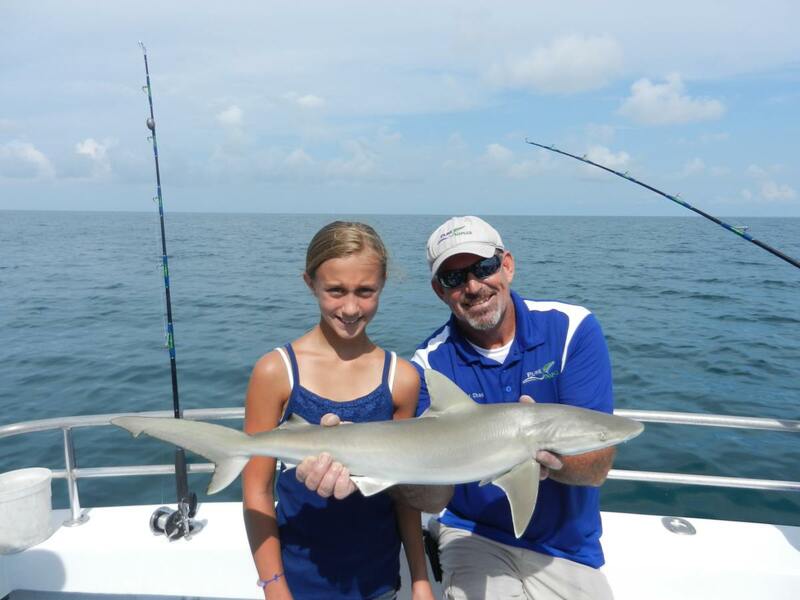 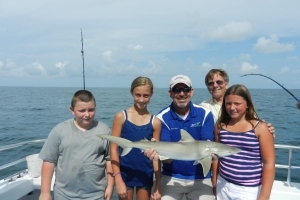 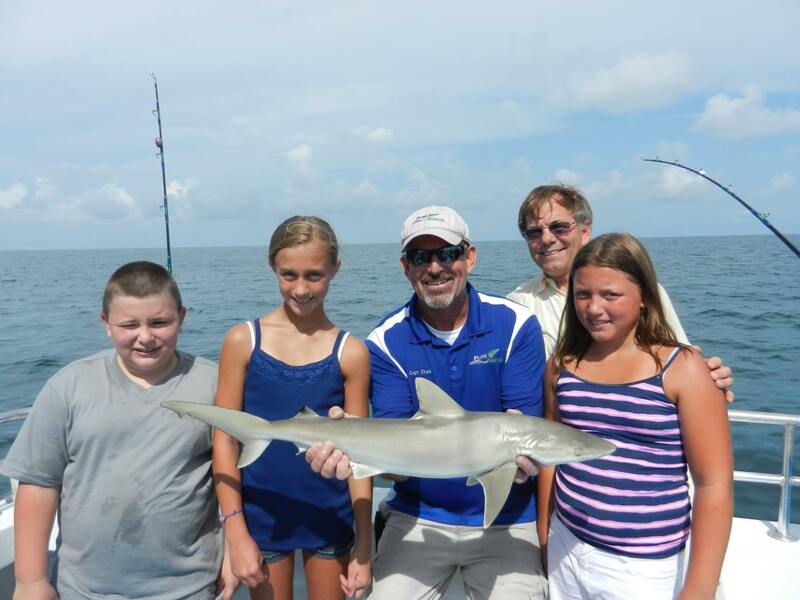 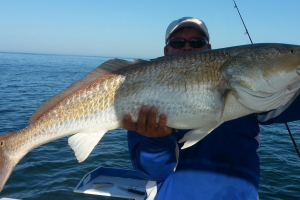 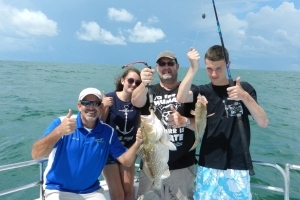 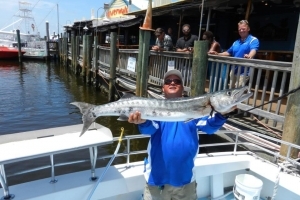 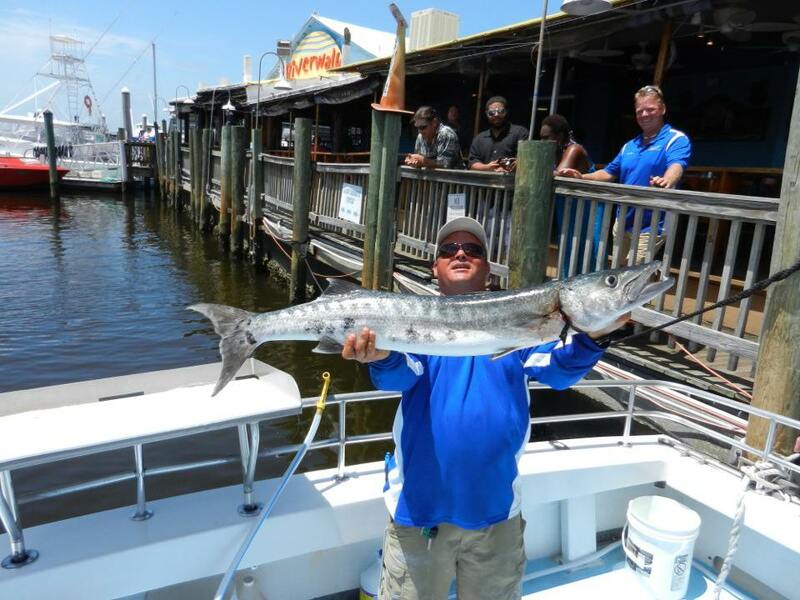 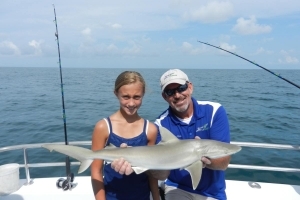 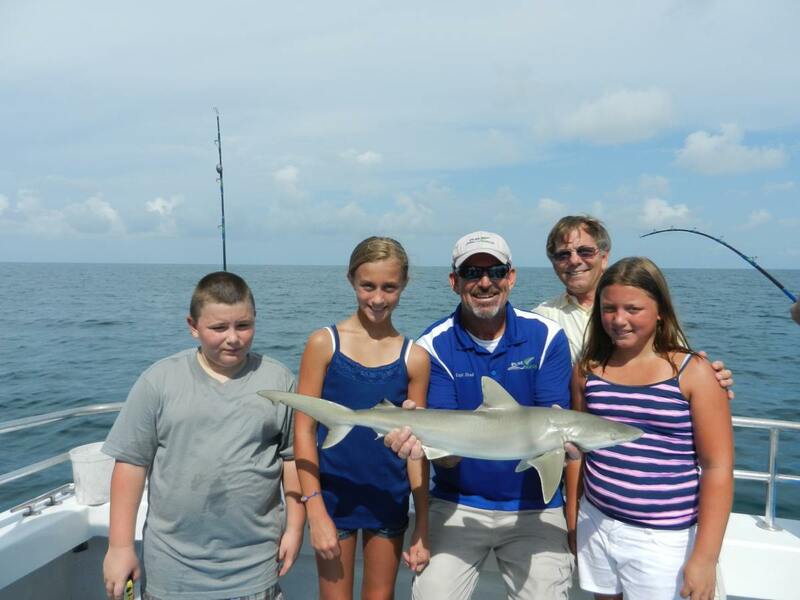 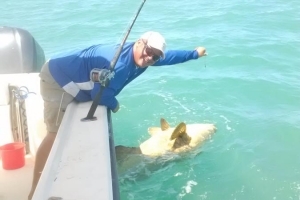 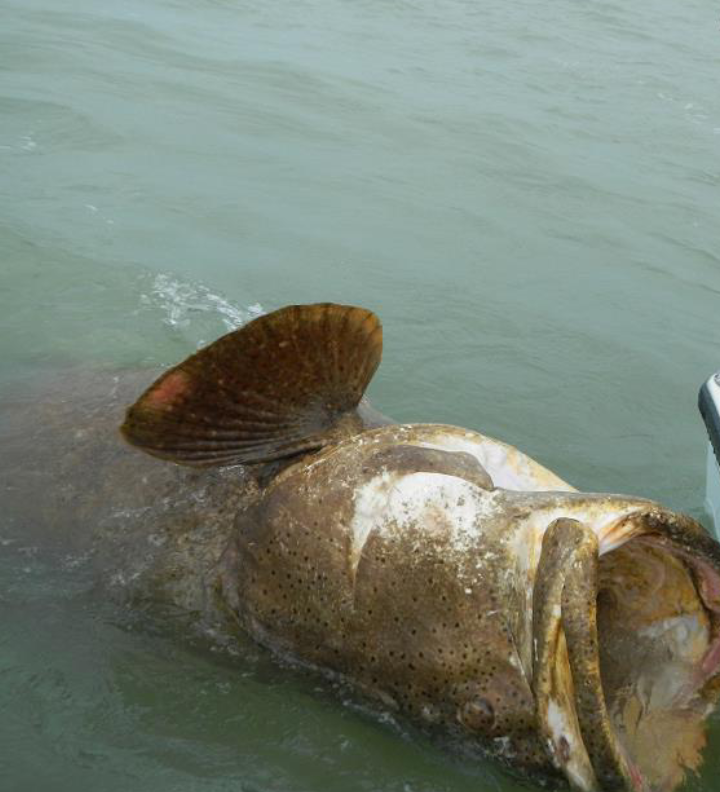 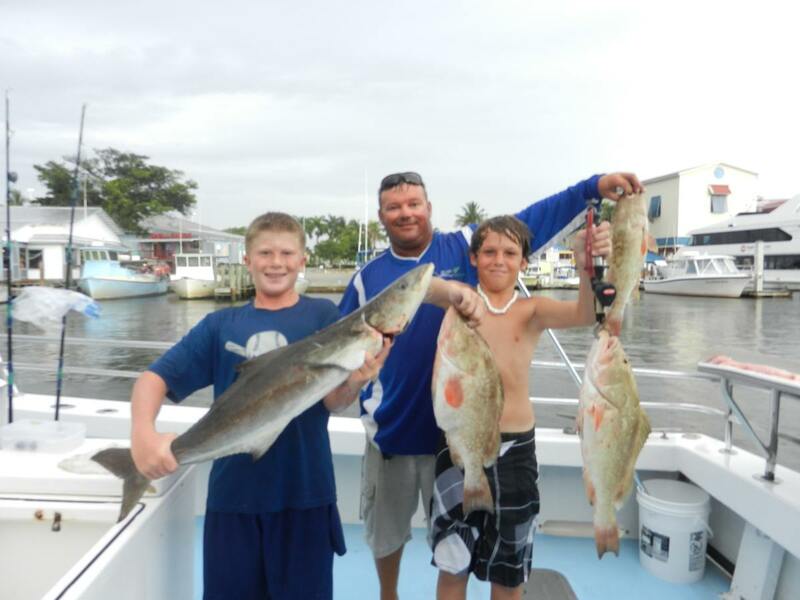 Catch redfish, snapper, snook, tarpon and even shark. M/V NAPLES EXPLORER can also fish up to 3 miles offshore subject to weather to increase your fishing experience – top line equipment, tackle, bait and crew. 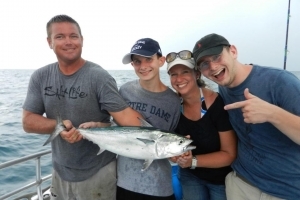 Want to enjoy a Sunset and family fun fishing at the same time? 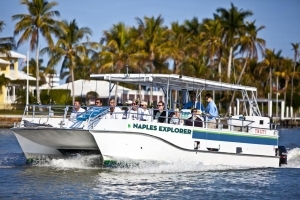 Then book our M/V NAPLES EXPLORER. 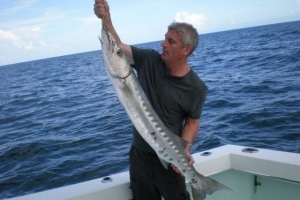 Everything needed for fishing is supplied including equipment, tackle, bait. 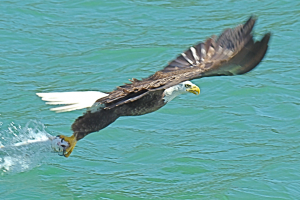 Pack a snack and a small cooler and enjoy your evening. 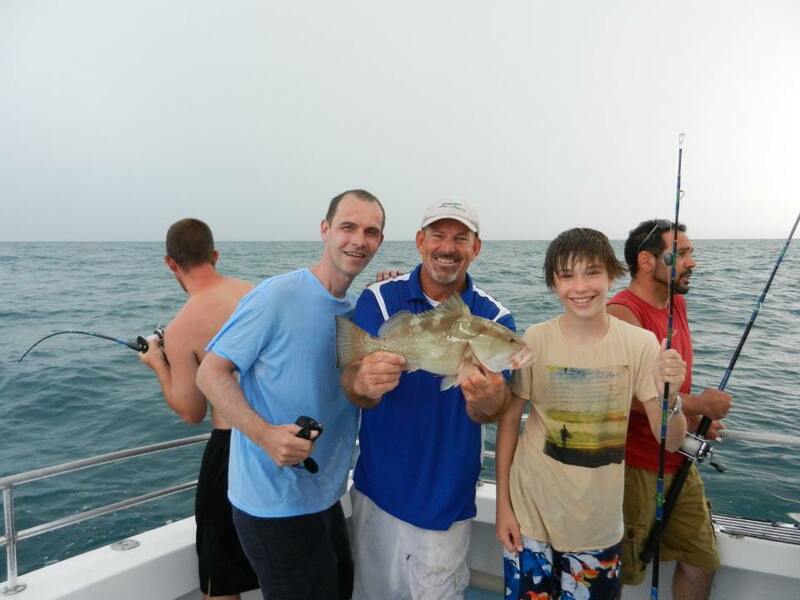 It is a calm water experience with the sun setting and Mother Nature at its best. 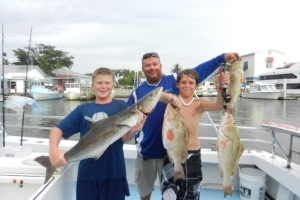 Give us a call and let us set up our evening fishing experience.